Tire tread rubber is a pattern printed on the outermost surface of the tire that is in contact with the road surface. It can cushion the impact and sway during driving during the running of the vehicle. It has high mechanical strength, good elasticity and excellent wear resistance. Butyl styrene or butadiene rubber is the main raw material. At present, tire processing companies have begun to use renewable resources for reprocessing of waste rubber in order to reduce the cost of tread rubber production. So what kind of renewable resources will be used in the processing of tire tread rubber, and what is the role? Tread reclaimed rubber is a tire reclaimed rubber processed from waste tire tread as the main raw material. Its effective rubber hydrocarbon content, wear resistance and tear strength are better than ordinary tire reclaimed rubber, plasticity, fluidity and vulcanization performance. 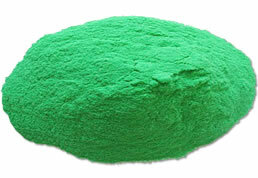 It is superior to natural rubber, butadiene rubber and other rubber compounds. Its price is lower than other types of recycled rubber. It can reduce the cost of raw materials and improve the performance of tire tread rubber. Generally, the amount of tread reclaimed rubber in the large tire tread rubber can be controlled in 5-20 parts, and the tread reclaimed rubber in the small tread rubber can be appropriately increased to further reduce the production cost. The so-called vulcanized rubber powder is a powdery rubber elastomer which is ground by mechanical force after vulcanization of waste rubber. 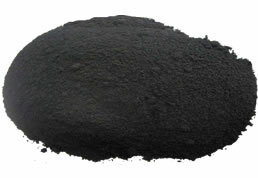 Tire rubber powder is a large class of vulcanized rubber powder. Vulcanized rubber powder processing technology is simpler than recycled rubber, and the price is much lower than that of recycled rubber. A small amount of blending in tire tread rubber can reduce the cost of some raw materials. Studies have shown that too much vulcanized rubber powder in the tread rubber will affect the physical and mechanical properties of the tread rubber, so it is necessary to control the amount of vulcanized rubber powder. In some tire tread production processes, rubber manufacturers will add a certain proportion of tire tread reclaimed rubber to the formulation containing vulcanized rubber powder to further reduce costs. Latex reclaimed rubber is a recycled rubber processed from waste natural rubber and waste latex products. It has high rubber content, good elasticity and high mechanical strength. 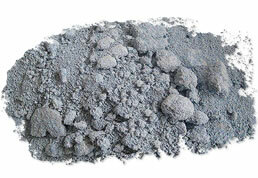 It is used in the production of tire tread rubber to reduce the cost of raw materials. At present, most tire tires are black, and the same index of black latex reclaimed rubber has a lower price than white latex reclaimed rubber. Therefore, black rubber tire tread rubber can be blended with black latex reclaimed rubber, which can reduce the cost of raw materials. You don't have to worry about color matching. White latex reclaimed rubber has white color and easy color matching. It is more suitable for the production of light color and color tire tread rubber with special color requirements, reducing the cost of raw materials. Butyl reclaimed rubber is a recycled rubber resource processed from waste butyl inner tube. It retains the good air tightness, heat resistance and aging resistance of butyl rubber. It replaces butyl rubber in tires to produce tire inner tube and tubeless tube. The tire inner liner reduces the cost of raw materials and is not used in tire tires. However, the experimental results show that the use of a small amount of butyl reclaimed rubber in the tire tread rubber with natural rubber and butadiene rubber as the main raw materials can significantly improve the heat aging resistance and fatigue resistance of the tread reclaimed rubber, and extend the tire. Tread rubber life. Every year, China produces a large amount of waste rubber products. Every year, there are countless tires that need to be replaced. Therefore, we can improve the recycling technology of recycled rubber resources, increase the application range of recycled rubber and vulcanized rubber powder in tires, and solve the environment caused by waste rubber. The current situation of pollution and mitigation of rubber resource shortages is significant.